The SMSA is governed by a set of By-laws which were adopted at a General Meeting of the Members on 1 December 2016 and amended in General Meeting on 9 July 2018. The SMSA is constituted by its own Act of Parliament. 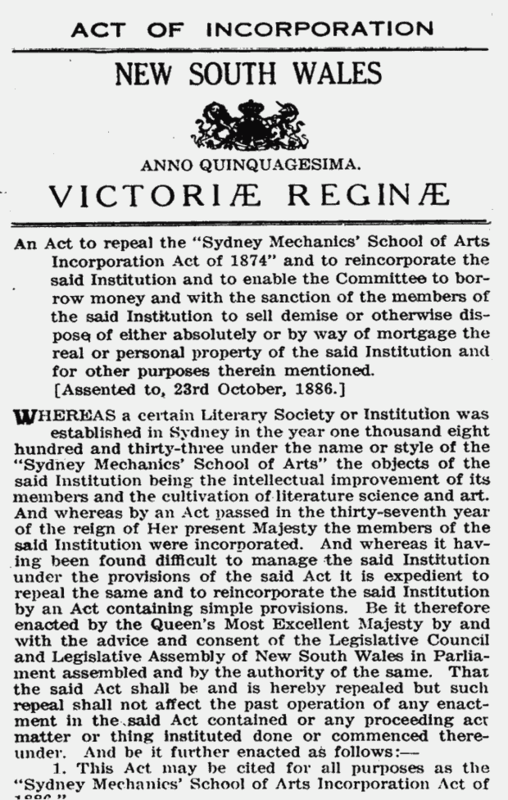 The first Act was passed in 1874, repealed in 1886 and replaced with the Sydney Mechanics’ School of Arts Incorporation Act 1886. The first two articles of the Act establish the purpose of the SMSA.